Protect your investment! It is essential to maintain a proper moisture level if your guitar is stored in an area prone to severe dryness and/or cold (such as a heated home). Our new guitar case humidifier helps to prevent adverse effects such as bad string action, buzzing, protruding fret ends, cracking, top-sinking, and other damage caused as a result of dryness. Made of soft latex which is harmless to all instrument finishes, these humidifiers release moisture to maintain proper humidity levels. Includes a cover to seal the sound hole during use. 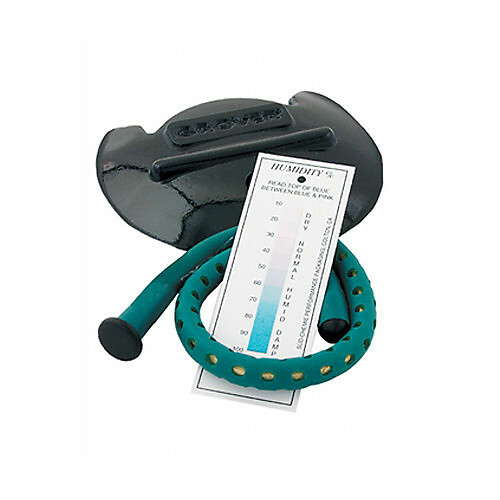 Easy-to-follow instructions and a user-friendly humidity gauge are included.